As of May 2017, bipartisan legislation has been re-introduced in both the House and the Senate to award a Congressional Gold Medal to the 23rd Headquarters Special Troops. Sen. Edward Markey (D-MA) and Sen. Susan Collins (R-Me) and Sen. Angus King (D-ME) have introduced S 1256, the Ghost Army Congressional Gold Medal Act. Seven other Senators have already co-sponsored the bill. On the House side, Representatives Annie Kuster (D-NH) and Peter King (R-NY) introduced companion legislation, HR 2701 the Congressional Gold Medal Act in the House. Eight other representatives from both parties have co-sponsored the bill. The legislation encompasses both the 23rd Headquarters Special Troops, and the 3133 Signal Company Special, which practiced sonic deception in Italy. “These brave soldiers brought unique, creative skills to the most dangerous and critical missions.They epitomized the American can-do, innovative spirit." Fewer than 40 of the citizen-soldiers who served in this unit are left. Seventy years after the war’s end it is time to recognize the incredible and largely overlooked accomplishments of this select group of soldiers. In recent years the Congressional Gold Medal has been awarded to other under-recognized WWII units including The Doolittle Raiders (2015) The Monuments Men (2013), Women Air Service Pilots (2010) and the Native American Code talkers (2008). The dangerous, life-saving, top-secret work of The Ghost Army is well deserving of similar recognition. Helen Patton, grand-daughter of famed WWII General George S. Patton Jr, has wholeheartedly thrown her support behind the effort, pointing to the numerous operations the Ghost Army conducted on Patton's behalf. She writes: ""The Ghost Army will live in our hearts and minds forever. May Congress pass this legislation and honor these heroes at last while the remaining handful are still with us. For to quotePatton himself, it is time to 'Give credit where credit is due.'" • Call the office and ask them to co-sponsor the legislatioan. • Copy one of the sample letters below and paste it into an email. • Add your own comments if you wish. • Send it to your Senator or Representative. • If you receive a reply of any sort, please forward it to rick@ghostarmy.org so we can follow up with them. Thank you so much! The men of the Ghost Army were not textbook soldiers or heroes, yet they served with ingenuity, courage and honor, using creativity and illusion to save lives. It is time to honor them while some of them are still left. As a constituent, I am writing to request that you co-sponsor H.R. 2701, the Ghost Army Congressional Gold Medal Act. This bipartisan legislation, introduced by Rep. Ann McLane Kuster (D-NH) and Rep. Peter King (R-NY), would provide long-overdue recognition to a group of veterans who played a courageous and crucial role in securing Allied victory in World War II. Companion legislation has also been introduced in the Senate. On the battlefields of Europe in 1944-45, the 23rd Headquarters Special Troops, also known as the “Ghost Army,” risked their lives to draw fire away from American troops. They had no heavy weapons, but employed ingenious tactical deceptions to fool the enemy. Recruited from art schools, ad agencies, and elsewhere, they used inflatable decoy tanks and artillery, fake radio transmissions and sound effects to conceal Allied troop movements from the Germans.The 3133 Signal Company engaged in sonic deception operations in Italy. 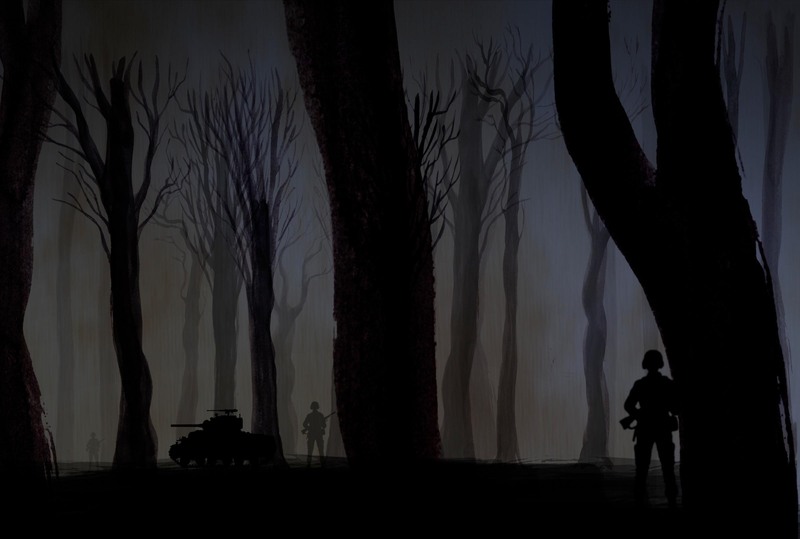 The Ghost Army’s activities were classified until recently, meaning that their heroic actions went largely unrecognized. H.R. 2701 would collectively award them a Congressional Gold Medal in celebration of their bravery and creativity, as well as their contributions to the Allied victory. For more information, you can visit www.ghostarmy.org. Ten representatives in both parties have already co-sponsored this bill. Won't you join them? We need 290 House co-sponsors before it can be taken up in committee. As a constituent, I am writing to request that you co-sponsor S.1256, the Ghost Army Congressional Gold Medal Act. This bipartisan legislation, introduced by Senator Edward Markey (D-MA) and Senator Susan collins (R-ME) would provide long-overdue recognition to a group of veterans who played a courageous and crucial role in securing Allied victory in World War II. Companion legislation has also been introduced in the House. On the battlefields of Europe in 1944-45, the 23rd Headquarters Special Troops, also known as the “Ghost Army,” risked their lives to draw fire away from American troops. They had no heavy weapons, but employed ingenious tactical deceptions to fool the enemy. Recruited from art schools, ad agencies, and elsewhere, they used inflatable decoy tanks and artillery, fake radio transmissions and sound effects to conceal Allied troop movements from the Germans. The 3133 Signal Company engaged in sonic deception operations in Italy. The Ghost Army’s activities were classified until recently, meaning that their heroic actions went largely unrecognized. 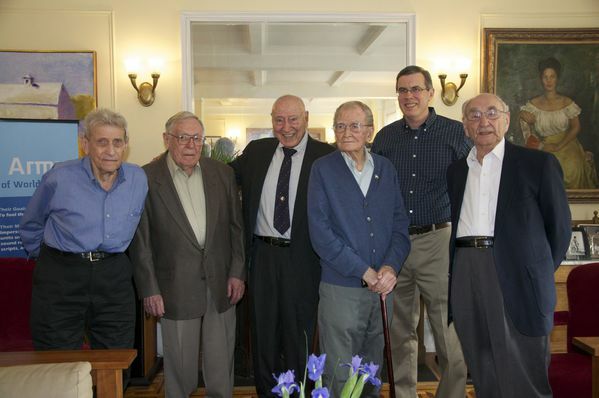 S 1256 would collectively award them a Congressional Gold Medal in celebration of their bravery and creativity, as well as their contributions to the Allied victory. For more information, you can visit www.ghostarmy.org. Ten senators in both parties have already co-sponsored this bill. Won't you join them? We need 66 Senate co-sponsors before it can be taken up in committee. Helen Patton Letter of Support (pdf)Helen Patton, granddaughter of General George S. Patton Jr, "wholeheartedly" supports the Ghost Army Gold Medal Effort. She believe it is time to "give credit where credit is due."